Have you ever been in a situation where you forget to backup your bookmarks from your web browser when you format your computer? If you have, then you might want to check out Xmarks. I overlook backing up my bookmarks whenever I wanted install a fresh Windows or Ubuntu operating system. I usually backup my most important stuff first which is my work; important bytes of data on my harddrive. Next I would export my bookmarks as a XML file, store it on an external drive then import it back once I have a fresh OS working. 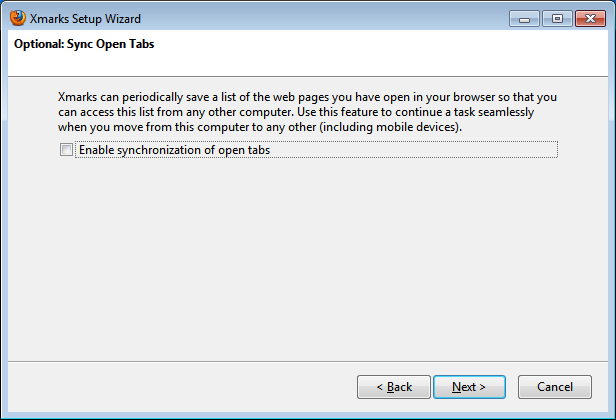 Usually I would forget to do this and I end up losing all my bookmarks. I tried online bookmark services like Google Bookmarks and Delicious as an alternative and safer way to store my bookmarks. 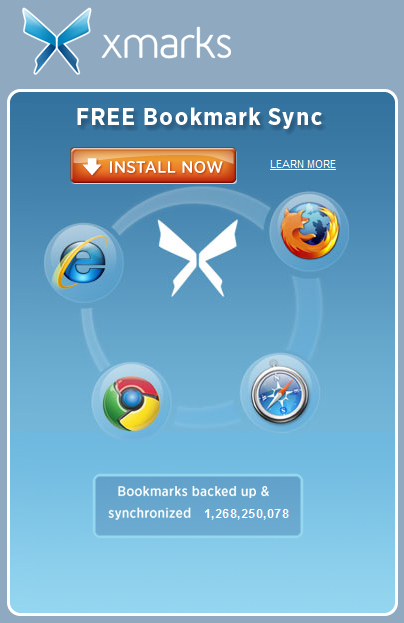 By using these services, I did not have to worry about ever losing my bookmarks again since it is stored online. But using these services was too much of a hassle to import and export bookmarks between the browser and the bookmark service. 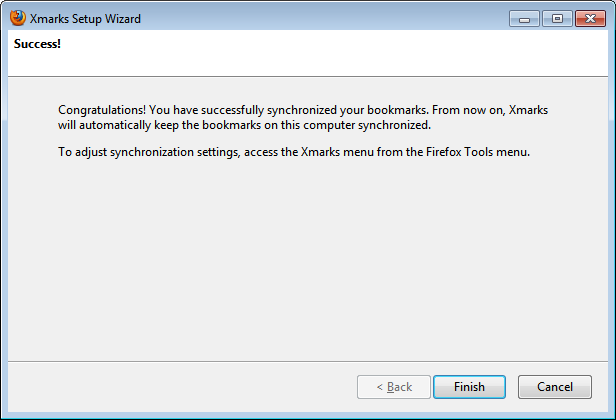 Then I started searching for a bookmark synchronization application that could sync Google Bookmarks and your browser bookmarks. 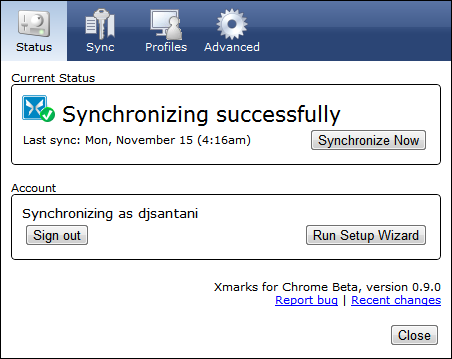 I have found that Chrome has a build in Sync function that does exactly that. It also syncs themes, preferences, extensions and applications which makes it a handy function to have. 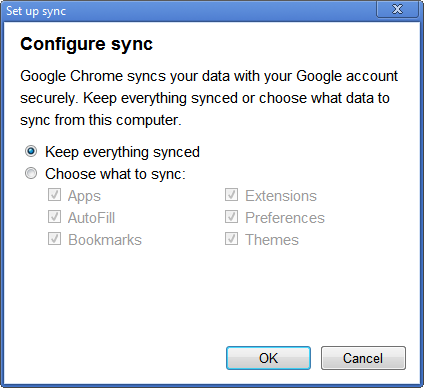 But what if you want to sync those information across different web browser? I found Xmarks to be a very popular bookmark application that works as a plugin on Firefox, Chrome, Internet Explorer, and Safari (Mac OS). I really haven’t explored the application yet at the time of this writing but I am hoping that it is the answer to all the bookmarking hassle I had gone through. 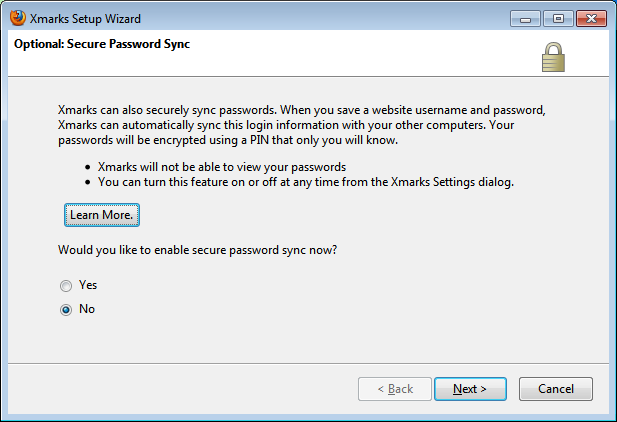 Below are some of the screenshots I took while installing Xmarks on Firefox and Chrome. From my last post, I have written about telecommunication in general. Here I will write more about cellular telecommunication and its technologies particularly GSM and CDMA. Both are 2G technology. Most people now associate telecommunication with modern technologies that provide mobile communications to users both in the form of voice and data transmissions. There are a number of different standards that telecommunication companies use to provide cellular services. Cellular telecommunication was conducted over analog system that transmits waveforms which can degrade over long distances. Because of that, cellular telecommunication has transformed to digital converting the signals into groups of numbers that could not be broken down over time and distance. As a result of this digital transformation, cellular telecommunications are based on many different standards. Phones and systems that operate on the same standard can usually work with each other. The most popular of the digital standards are Global System for Mobile Communication (GSM) and Code Division Multiple Access (CDMA). GSM is the standard used in much of the world. In Malaysia, GSM is most common, while CDMA and PHS (PHS) mobile phone is also very popular. In terms of data transfer speed, both technologies continue to rapidly leapfrog one another. Both provide “3G” standards or 3rd generation technologies. CDMA2000 is CMDA’s answer to need for speed. GSM’s answer is EDGE (Enhanced Data Rates for GSM Evolution) with added technologies that include UMTS (Universal Mobile Telephone Standard) and HSDPA (High Speed Downlink Packet Access) This technology is also known as W-CDMA, but incompatible with CDMA networks. GSM phones uses SIM cards that allow phones to be instantly activated, interchanged, swapped out and upgraded, all without carrier intervention. The SIM itself in tied to network, rather than the actual phone. CDMA carriers on the other hand require proprietary handsets that are linked to one carrier only. When upgrading a CDMA phone, the carrier must deactivate the old phone then activate the new one and the old phone becomes useless. Photography has been a popular subject across the Internet for some time now. More and more people are taking up photography these days. The web makes it even even easier for people to store and share photos with family and friends. Popular photo sharing web services like Yahoo’s Flickr and Google’s Picasa allows users to have an online album so that other people around the world would be able to see and comment their photos. I don’t see myself as a photographer but time to time I would take some pictures on my Sony cyber-shot digital cam and store them on my harddrive. Some of my photo albums that I think are interesting I upload on my Facebook account. So most of my pictures that I have are on my harddrive. Its a good practice to backup your digital photos time to time and a good way to do that is by uploading it on the web. My greatest regret is that I did not do so when I realize only to late that my harddrive would not run anymore because of bad sectors. Last week I installed Picasa on my laptop and I liked the way it helps to organize my photos for me. When I wanted to upload my photos using Picasa I realized that I have 1 GB limit of storage space on my Picasa account. I was a little disappointed with this, so I checked Flickr. Flickr on the other hand has no storage limit. Sounds great right? Not really, there is a catch. Flickr free account users are allowed to upload 100 MB of images a month. Which means that if you already uploaded 100 MB of images this month, you will have to wait for the next month to upload another 100 MB. Yeah so you need more than 10 months to beat Picasa’s 1 GB of storage limit thats if you used up all the 100 MB upload for each month. Flickr also limits your “photostream” to the 200 most recent photos. So when you uploaded and hit more than 200 photos, Filckr will only let you see the 200 most recent photos. The old ones will not be deleted but it will be kept hidden. If you linked the old photos to a webpage, you will still be able to see them from that webpage. These storage and upload limits can be lifted if you get a pro account on either Flickr or Picasa. With a pro account on Flickr you have unlimited upload for each month and on Picasa, instead of 1 GB you get a wooping 7 GB! Uploading photos on either Flickr and Picasa is easy since both have their own web browser interface and software. Downloading gives Picasa the upper hand since Picasa software itself has the ability to sync photos on the web and on a computer. Flickr has third-party services that helps to download photos from your account which I heard is a pretty labor-intensive process. Both Flickr and Picasa have their pros and cons. It all comes down to the users and what they want to use these services mainly for. Picasa is good for managing photos and probably the best way to backup 1 GB of photos. Flickr is best for its tags and communities where its all about sharing. For me, I use this kind of service mainly for backup and that is why I use Flickr. Eventhough I won’t be able to view all my photos because of the “200 most recent photos” limit, I know that my photos are safe in Flickr until I upgrade by account to pro to view all my photos. I don’t really see myself using Picasa until Google increase the storage space. Well, that’s me. If you want a more technical comparison between Flickr and Picasa, you can read them here. Yata! For those Firefox fanboys out there, Mozilla Firefox 3 beta 1 is already available for download. You can get it here. 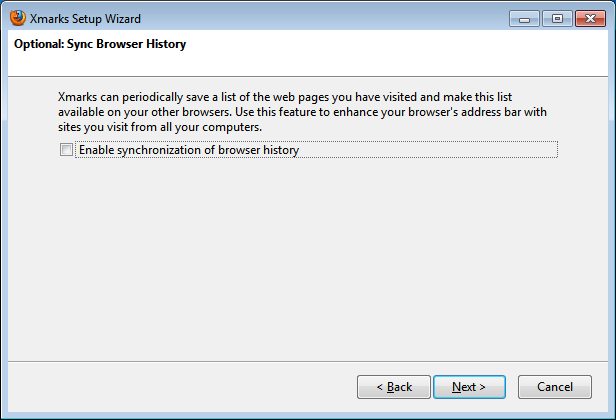 I myself have been a Firefox fan and have been using it since as an alternative for Microsoft’s IE. I like to argue among my friends that Firefox is better than IE in many ways. However when my Firefox 2 started crashing few weeks ago, I started to lose my faith in it. It is then when Flock became my new best friend. From the Firefox 3 reviews, it is said to be better in terms of speed. The Installation, execution and termination and the uninstall process of the beta is quick compared to the previous Firefox 2. The user interface is improved for simplicity and easier to access. Security is boost up with add-on plugin and it is integrated with anti-virus applications from your system. Other than that, there are also complaints that the Firefox 3 is still weak in memory management. There is still a memory leak which consumes load amount of memory when Firefox 3 is fired up with multiple tabs browsing on rich contents. You can read more Firefox 3 beta 1reviews here. I did not check out the Firefox beta myself yet since it is only for testing. But I hope by the time the release of the full Firefox 3, it would be much more stable and has better memory management than the previous Firefox 2. Meebo is an in-browser instant messaging program which supports multiple IM services, including Yahoo! Messenger, Windows Live Messenger, Google Talk, AIM, ICQ , and Jabber and is based on the free and open source library libpurple created by the software developers of Pidgin. There are games like Backgammon, Blackjack, Checkers, Chess, Go, Pirate War, Reversi, Sudoku Wars and Texas Hold ’em to name a few. The game developers for Meebo are 3rd Sense, Absolutist, AddictingGames, Clearspring Technologies, Come2Play, Gamebrew, MediaGreenhouse, Mochi Media, MyGraffitiWall, Jiggmin, Kongregate, PlayFirst, Presidio Studios, and ZeroCode. I tried playing a game of Reversi with my bro and it worked out fine. He was using MSN messenger at that time and we were still able to play the game and chat real-time. With the launching of these games, I think Meebo is moving in the right direction to interactivity and real time action. I can see that Meebo is becoming a popular choice amongst students in my area for IM applications. Students tend to use it in labs other than installed IM like Yahoo IM, MSN and multiprotocol instant messaging application like Trillian and Pidgen. I am sure that some of you have heard about the discovery of a technique for portable data whereby data can be stored on ordinary paper about 2 years ago by an Indian student. If you haven’t, then you can catch up on it here. When I first heard about it, I thought it was a hoax. Storing 450 GB of data on a sheet of paper seems pretty crazy, when a DVD can only store up to 13 GB of data. So I did a little research on it to see how far this new technology claims to be true. It’s time for a little Myth Buster! The development of this “Rainbow Technology” by an Indian student, Sainul Abideen(pic) was first reported by Arab News and then later the word spread out to other medias on the internet. People who’s interested express their own opinion on the topic which mostly was about whether this technology is true or a fraud. But following huge interest in the story, Mr Abideen’s claims have come under determined scrutiny across the Internet, with a broad consensus that it is in fact impossible to store that amount of information with the apparatus he has outlined. Let’s just say if this technology is true, why would anyone want to store that much of data on a piece of paper? Paper can be really fragile. Just a little smudge on it and that’s it, so much for that 450 GB of data. But on the other hand, paper is a small carrier that you can slip virtually into anywhere unnoticed. In another word, portable. Anyway, the topic were discussed over the internet for quite some time now and it seems that Sainul Abideen’s claim on his development had been misinterpreted by reporters. According to Sainul Abideen, people have mixed up his statement in the newspaper article. You can read more on Sainul Abideen’s clarification here. Rainbow Storage is not a method to store data on paper but it is a group of techniques to represent data in the form of colour, colour groups and some symbols. So from the sources that I’ve discovered, storing data on paper is actually possible but not as much as 450 GB of data. But the point of Rainbow technology is not storing data on paper but a technique to store data. When this technology is ubiquitous in the future, the word Gigabyte would be oblivion in terms of hard disk capacity. Scenario | Enthusiastic and pleased guy: Hey check out my new 100 tera hard disk I just bought. It came with a free 5 tera pendrive | Disappointed and miserable guy: Geez, if I could only find a good excuse to replace my 20 tera hard disk. As we all know, the touch screen is widely implemented in many different applications in today’s technologies. The touch screen uses a single touch interface where it only detects a single movement at a time. The touch pad is a fine example. You can’t use two or more fingers to interact with the touch pad. A multi touch interface can however recognize multiple simultaneous touch points. With the multi touch interface, one can interact with it using multiple fingers and can provide rich interaction through intuitive motion. The video below shows the different things you can do with a multi touch interface. The multi touch technology is not something new. It goes way back to the 80’s but haven’t been widely used since due to high cost to implement. Today, the technology is already utilized in Apple’s iPhone and Microsoft Surface Computing. We will anticipate more of this technology in phones and computers in the future. By the way, the video above was 1 year ago and there are more where that came from. Check it out out at Ted Talks. Devianture Create a free website or blog at WordPress.com.